08/29/16: Please read the update at the bottom of this article. 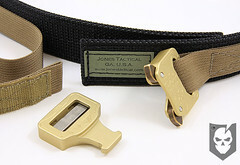 Today on ITS we’d like to introduce the Jones Tactical Cobra 1.5″ EveryDay Belt. Jones Tactical is becoming well known for his custom gear that’s handcrafted with the utmost attention to detail, and made in the U.S.A.
We’d seen pictures of his work and heard the praise before reviewing this belt, but words can’t describe the quality that Jones Tactical brings to the industry. The EveryDay Belt is without a doubt one of the finest belts you can mount a concealed holster on. It does a pretty good job of holding up your pants too! Made with a double layer of 1.5″ Scuba Webbing for rigidity and support, this belt will not sag or allow a holster to roll. It features 1″ accent webbing around the exterior of the belt to hold the Cobra buckle in place and facilitate the adjustment on the male side of the buckle. A three inch hook-velcro tab allows the belt to be adjusted to a wide size range using the massive 11″ section of loop velcro. The 1″ Cobra Buckle is an added bonus on this belt, which will not open under load. Not a tremendously important feature on a belt that’s not built as a lifesaving device, but awesome nonetheless. To wear the EveryDay Belt, the male portion of the Cobra buckle must be removed to thread the belt through your belt loops. 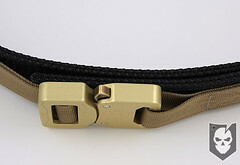 Once the belt is threaded, simply re-attach the male portion of the buckle, snap it in and make your adjustment. There might be those of you out there that are thinking that it’s a pain to have to do that everyday, but the good thing is that it’s only once a day. Hardly more than a minute added to your morning routine. Well worth it for an excellent belt like this. The EveryDay Belt is custom built to your waist size. From people who need to eat more, all the way up to people who need to eat less, Jones Tactical can accommodate any size. Scuba Webbing is only available in Black, but the 1″ accent webbing is available in Black, Coyote Tan, Foliage Green, Marpat Brown, and Olive Drab. 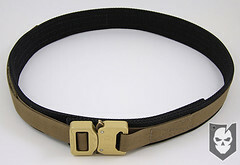 Cobra Buckles are only available in Black and a limited edition Desert Tan for about $10 more. If you know much about the AustriAlpin Cobra Buckles, then you’ll know how much of the belt cost is rolled into those. They’re not cheap! The Jones Tactical Cobra 1.5″ EveryDay Belt will run you $57 or $67, depending on the Cobra Buckle color. Get one today, and enjoy the peace of mind knowing you’re wearing one of the most bombproof Everyday Carry belts on the market today! 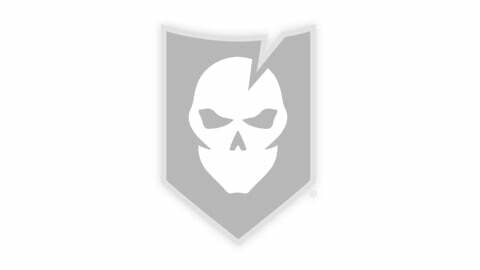 Check out Jones Tactical on the Web and also on Flickr! UPDATE 8/29/16: We’ve had numerous readers reach out to us to say that Jones Tactical has a tremendous backlog and have waited many months for their orders, some have not gotten responses to inquiries as well. Please look into this further for yourself before placing an order with Jones Tactical. Jones makes an awesome belt! I wear an EveryDay Belt every day. Nothing else on the market comes close. This really is an excellent design for a belt; I know this because I was making it for 2 years before Rich brought out a 99% copy. Anyone who buys this design of belt should be very happy with it. That looks suprisingly like the Ranger Belt that Ares Gear has had out for something like 2 years now. I say suprisingly because I cannot tell from just the one pic. If I was able to see further pics, my guess would be that it is exactly like the Ranger Belt made by Ares Gear. Just sayin. NIce COPY of an ARES GEAR design that has been around for over two years. I use the Ares gear belt deployed on OGA Contracts and it is BY FAR the best and most comfortable Tactical Belt I have used. I guess imitation is the sincerest form of flattery. I know because I invented the TID (Tactical Impact Device) and people knocked that off as well. You should thank Jake for your inspiration rather than steal his Thunder. I would be ashamed If I were you. I suspect you will delete or redact this as it would be bad form to tell the TRUTH. Slow your roll Lance. I’m not sure who you’re comment is directed at, but ITS Tactical did not make this belt. Jones Tactical produced this, and they have no affiliation with ITS or control over whether or not comments get posted, we do. The comments posted here are exactly why we allow them. It’s this kind of open forum that we’re trying to establish at ITS Tactical. If there’s information we’re misguided by or our readers have something to say, good or bad, we want to hear it. It’s what keeps this site unbiased. As for the Jones Tactical belt, we’re guilty of not doing our homework, or knowing that Ares Gear had produced a belt like this two years prior. I just got off the phone with Jake, and we had a good discussion about the article. I’m looking forward to Jones Tactical adding their input. Looks like an Ares Gear Belt to me…. That looks like the belts Ares Gear has been making for a couple of years now. Great belt -too bad its a blatant rip-off of established maker AresGear.com’s Ranger belt. But, that’s to be expected when Jones is renowned for not coming up with their own gear and needing copy other manufacturers stuff. Not even bothering to change the two-tone design and call it your own? Buyer beware. If you don’t mind buying from cheaters and rip-off artists, have at it. I wear one of Jake’s Ranger Belts. Top notch. Can’t speak to the Jones version, except that it appears to be the same design. Glad ITS has not chosen to restrict the comments. As noted Ares has been working on this belt for a couple years now. He posted the prototype design in a restricted “gear designers” section of DIY Tactical forum in Sept of 2007. Jones had access to this section at the time and even commented on the belt in the thread. I’d like to hear the other side of the story. Thanks for your comment and the information you’ve provided, We’re hoping to hear the other side of the story too. I’m surprised Jake (and others) are stirring the pot when Jake said on LF that “he came to this one ENTIRELY HONESTLY from a different direction.” and “Great minds think alike; there was no intellectual dishonesty here”. But I guess a comment just had to be made on a stellar review for a competing product. Since there are so many loyal Ares Gear fans, and I’ve never heard of the company, I’d like to read some reviews. Where can I read some? ITS? MSM? MM? I wasn’t aware of the exchange at LF.net I don’t get over there too much anymore, only what was in my own forum and what I see with my own eyes. How someone can come at something from a “different direction” when they were privy to the design years prior I don’t know. Had they never heard of each other I could understand parallel design. IMO Regardless of how Jones came to the end result, it was a design he had seen before and should have dropped it or come to an agreement with Jake prior to production. As I stated prior, I am anxious to learn how this came to be and since there was prior dialog between the two parties I’d be interested in how that went as well. Finally I didn’t know it was required to have a piece of gear on a review site to make it legitimate. There are dozens of gear makers that many have never heard of, who also happen to make outstanding equipment. Some don’t want the added publicity for various reasons. I have hundreds of pieces of gear in the field and have only seen one of them in a forum. I ask my clients not to publicize my stuff for various reasons. BTW my blog (CGR) is specifically set up to profile smaller up and coming companies keep an eye out for a Ares Gear article in the future. Wow. It is funny how things change once someone reviews your products. Jake and I had talked about this and I thought we had put it behind us, but apparently not. I have had my Duty Belt out for about 2 years now and the design of my 1.5″ belt is straight from that. The only difference is the lack of Velcro under the buckle. So, I am not sure where we go from here. Mike – I went back through my comments on your site and there is nothing there about Jake or his belt, so please be sure of your facts before presenting them to a world wide audience. From the picture on your site, the two belts don’t even look the same. Smashy – Thanks for the support. Thanks to Bryan and ITS for requesting a belt to do a review. I don’t appreciate having my integrity questioned. My facts are straight. As I stated it is in a restricted section specifically the gear locker section which you no longer have access to. If Bryan would like I can grant him access so he can confirm. Duke – The 1.5″ scuba is only available in black (at the moment), and the accent colors are the 5 tactical colors most used right now. 2) I am personal friends with the owner of Ares Gear. 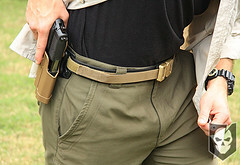 The belt reviewed is an excellent belt for CCW, training, and everyday wear. I have been wearing one for a year and a half now. The only difference between mine and this one is that mine says Ares Gear on it. Imitation is the sincerest form of flattery. I’m not sayin’, I’m just sayin’. Guys come on, how many copies of rigger’s belts are out there? Not to mention how many copies of everything else “tactical” out there. 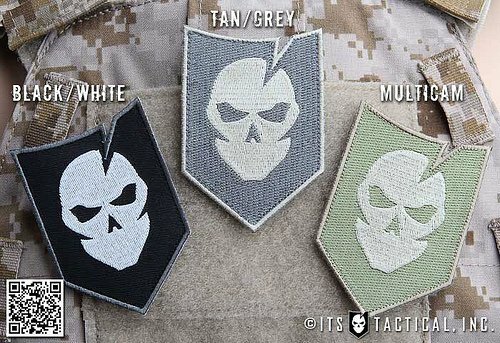 Look at all the big names out there: Blackhawk, Diamond Back Tactical, TAG Gear, Tactical Tailor, etc… They all have similar designs. If there’s something available on the internet, it’s bound to get copied. If you don’t want it copied, keep it off the net. There is a difference between the large manufacturers and the custom gear community. It’s bad enough when a little guy gets ripped off by a large Mfg but it hurts more when it is done by a peer. Mr. Smashy, you’re absolutely right. I spoke with Rich back when the first review of his belt was posted on LF, and based on his explanation, it appeared that it was an innocent coincidence and I gave him the benefit of the doubt. Having looked back at the DIY Tactical thread where I debuted the Ranger belt two years ago, I may have made an error. We like to think that the people who choose our belts speak to their quality. For better or worse, it happens to everybody. Even the big guys had to start out small. I understand what you’re saying about being ripped off by a peer, but that is the nature of business, everybody is out to get theirs. The only thing you can do is make sure you have the best possible product backed by the best guys in your target industry. TackleBerry is right on the money. Mike, you had better get your facts straight then. I have NEVER commented on Jakes post of his belt on your site, I made sure I looked before replying to you the first time. You might want to do the same thing before you continue on. His thread is in the First Line section of gear making. Do your homework before throwing around useless comments. Ok, One more time, you no longer have access to the “Gear Locker” this is where the thread is. So you can check all you want, you can’t see the thread. This is why I offered access to Bryan to confirm. I have no reason to make this up. Jake also referenced the thread (he still has access) I suppose this is some sort of conspiracy. I also find it interesting that you are agreeing that it is ok to rip off someones designs. I started my website June 20, 2007, which I already had a small product line established, mainly my 2″ Duty Gun Belt, which it what the 1.5″ belt is patterned after. The same overlap, buckle placement, and Velcro free end attachment. The only thing missing is the Velcro on the loose end. So if you want to throw around dates and times my 2″ belt has been out longer than Jake’s belt. If it was a copy of his belt it would look like it in every detail, but it doesn’t. Guys, this is getting ugly, and I feel like we shouldn’t do that to the ITS guys. Can we all agree to take this offline? If not, we should at least move this to a forum or email instead of cluttering their site. I’d be happy to have someone as an impartial judge, if we want to do that. I bought the Jones Tactical Everyday Belt a few months ago and your review of it is right on! I’ve bought several belts etc. from Jones over the last couple of years and have been blown away by the quality, workmanship and excellent customer service. 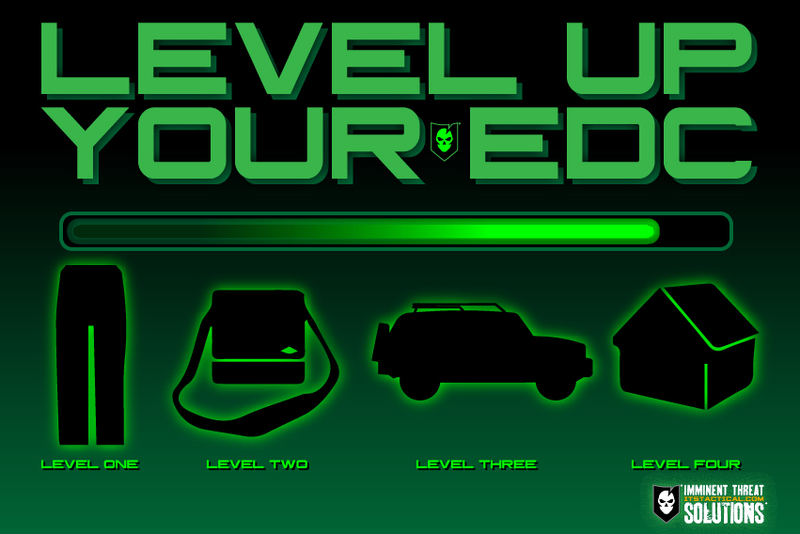 Thanks for keeping us up to date on the best gear out there. This thread is getting ugly as Jake mentioned. We’re going to close the article to future comments. We appreciate all the input and enthusiasm from everyone, it’s good to know that so many people are passionate about gear and loyal to who they buy from.